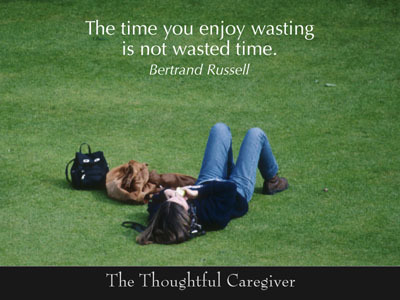 This entry was posted on February 28, 2008 at 6:33 am and is filed under Caregiver Truths, Caregiving Lessons, Validation. You can follow any responses to this entry through the RSS 2.0 feed. You can leave a response, or trackback from your own site. This is so true. As a caretaker for my husband when he was terminally ill with cancer, I know how exhausted you become, trying to cover all bases, and do more and more for the entire family, besides my husband. Caretaking does take a lot out of you, emotionally and physically. We all need to be aware of taking care of anyone who is a caretaker, especially long term.